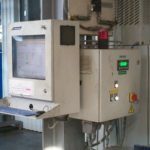 Editor’s note: This is a guest blog from Lee Gannon, Marketing Manager at Southampton-based TrouDigital, one of the UK’s fastest growing digital signage companies, with a drag-and-drop software accessible to all. Have your current signage solutions become problematic? Are they prone to vandalism, malfunction or are they non-functional when facing the elements of the great outdoors? 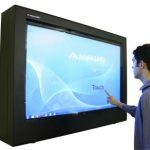 The solution is here – introducing Touchscreen Digital Signage, featuring projected capacitive touch foil, pioneering technology that will lead the signage industry into a new era. 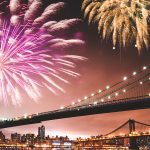 Is price hampering your digital signage ambitions? Can’t make the numbers work? Can’t justify spending the money? Armagard’s latest blog offers an honest perspective of the ‘elephant in the room’. 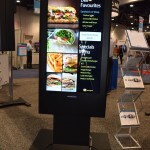 This is digital signage costs unveiled. 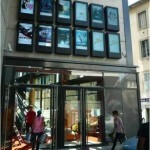 Outdoor Digital signage is becoming a technology that more and more businesses rely on. Take a walk out of the office, and you’ll see screens sharing information in a large range of places. Train stations, shopping centres, corporate office buildings and even schools are coming to rely on outdoor digital signage to get their message heard. 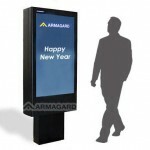 If you’re making plans to move your business forward in 2013: we recommend you make a New Year’s resolution to join the technological revolution and invest in digital signage. 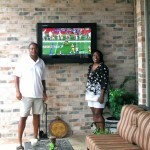 Is Texas, USA, too hot for an outdoor TV in the backyard?